Marine ecosystems have been influenced by human activities throughout history, with a general intensification and diversification of human impacts over time. Yet only recently have we begun to reconstruct the resulting changes in marine populations and ecosystems, and their consequences for human well-being. 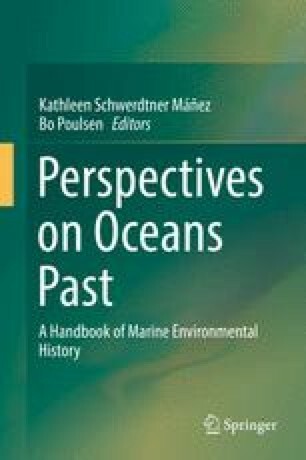 In this chapter, we present the use of ecological indicators and food-web models as tools to analyse historical changes in marine species and ecosystems. Because marine ecosystems are inherently complex, ecological indicators can help describe them and their changes in simpler terms. Commonly used indicators include species occurrence and abundance, functional group presence such as feeding types, habitat builders or filter feeders, as well as species traits such as body size or trophic ecology. These can be reconstructed for past time periods and used to analyse changes in individual populations or across multiple species over time, thereby providing insight into changes in marine species and ecosystems. A step further, food webs combine multiple species or functional groups and aim to represent the more complex relationships and interactions within marine ecosystems. These can range from qualitative, conceptual food-web illustrations to quantitative modelling approaches that can be used to analyse emerging food-web properties and changes in food-web structure and functioning. We provide a wide range of examples on how different indicators and models have been used and discuss the advantages and disadvantages of different approaches. Finally, we provide an outlook on their potential to advance marine historical research in the future.